Carolyn Jones, Director of the Institute of Employment Rights, looks at how to tackle insecure work and low pay - with policies backed by John McDonnell over the weekend. 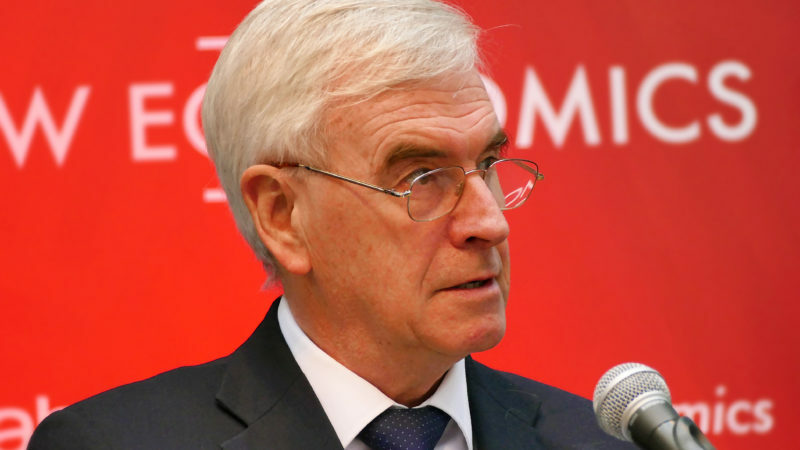 On Sunday evening, Shadow Chancellor John McDonnell told our packed fringe meeting at TUC Congress that the next Labour Government will “hit the ground running” with a new deal for workers. That deal, he confirmed, will draw upon our new report Rolling out the Manifesto for Labour Law. I head up the Institute of Employment Rights, an independent think tank that brings together leading lawyers, academics and campaigners across the UK to author progressive new proposals for employment and trade union law. We’re proud to have been invited by the Labour Party to work closely with them on reforms that could transform the UK’s labour market from one of the most unequal in Europe, to one that offers decent pay and security at work. The 25 recommendations in Rolling out have one overarching aim: to extend the principles of democracy beyond a vote at the ballot box, and into our workplaces and everyday lives. To achieve this, we propose setting up National Joint Councils (NJCs) in every industry, with employers and workers’ representatives negotiating collectively agreed minimum wages and conditions that would apply across entire sectors. It would no longer matter whether you were hired directly or through an agency, whether you work flexibly or have traditional hours, whether you’re under or over 25. Pay would be based on the work you do, not who you are. This would mean that businesses would no longer be able to compete by cutting labour rights and would need to invest in innovation and training instead. Not only would this contribute to the long-overdue upskilling of our workforce, it could also help to solve the so-called productivity puzzle. The UK trails behind the EU and OECD average when it comes to research and development spend – a key measure of future prosperity and the driver of economic productivity. It’s no coincidence that stronger economies have much higher levels of collective bargaining coverage, with an EU average of over 60% compared with the UK’s risible 25%. Workers should also have a voice in Parliament and we recommend achieving this by establishing a Ministry of Labour with a cabinet seat, and a National Economic Forum on which employers, workers, academics and government officials would sit to plan for future industrial strategies and to scrutinise policy for its impact on all sections of society. Individual workplaces too should be encouraged to listen to their workers, who should have the right to at least two representatives on company boards, a vote at general meetings, and a genuine choice to be represented by a trade union rather than being forced to fight for the right. While research shows that sectoral collective bargaining is the best way to raise wages and conditions, it’s important workers have stronger rights bestowed by government too. We recommend a living wage to replace the minimum wage; equal rights for all workers from day one; and updates to health and safety and equality laws to bring them into the 21st century. Over the last few years, ‘gig’ economy employers have been hitting the headlines for flouting employment laws, but nothing seems to change. Why? Because the UK is one of the only developed economies that doesn’t have an effective agency to enforce employment law and because our court system has been weakened to the extent that one-third of workers who are successful at tribunal never receive the compensation they’re owed. We propose an independent Labour Inspectorate to ensure employers follow the law and greater powers for the courts. Penalties on law-breaking employers should also be tougher, including compensation commensurate with the losses suffered by victims, and criminal sanctions for the worst offenders. There is an undeniable hunger for change in the UK today, and with FTSE CEOs now earning 386 times the average worker, we should stop wondering why. We’re delighted the Labour Party are taking forward several of our ideas to bring about a fairer society, but we must pull together to show our support for reforms. Carolyn Jones is Director of the Institute of Employment Rights, and co-editor of ‘Rolling out the Manifesto for Labour Law’ with Keith Ewing and John Hendy QC.